Although not known for being a beach destination Hong Kong does have some fine beaches mainly along the south side of Hong Kong Island, in the Sai Kung Country East Country Park in the New Territories and on some of the outlying islands. There are 41 gazetted beaches which are managed by the Leisure and Cultural Services Department (LCSD) of the Hong Kong Government, most of which have good facilities including changing rooms, showers, toilets, BBQ areas, rafts and often refreshment kiosks. Most LCSD beaches have a lifeguard service during at least the summer months and most are protected by shark prevention nets. 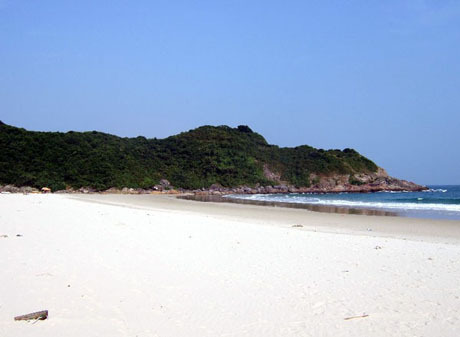 There are several excellent remote beaches such as those in the New Territories and some of the outlying island’s beaches which are not managed by LCSD and there are some private beaches available for public use such as the artificial beach at Discovery Bay and other beaches, some artificial in the “Gold Coast” residential area near Tuen Mun in the south-west New Territories. Along the Rambler Channel, west of Tsuen Wan, seven beaches which were officially closed during the 1990's owing to polluted water were reopened between 2011 and 2013 following a dramatic improvement in water quality. Visitors should not be alarmed by the mention of shark prevention nets. Although there are sightings of sharks in the waters around Hong Kong particularly when the sea temperature rises above 23C there have been no reported attacks since 1995 and the risk of attack is considered very remote. Occasionally some sightings result in beaches being closed as a precaution. The shark nets are often dismantled for maintenance during the winter months.